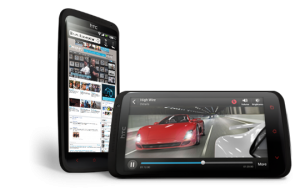 This has been one of the much awaited and requested feature for android smartphones. Manufacturers like Samsung has already built some of their smartphones with findmymobile feature, but native support for such a service from Google was in demand for a long time among android phone users. Google has finally rolled out Android Device Manager, a web based service that allows you to instantly ring your android phone from anywhere, or erase your device if your phone is stolen, or locate your device on Google map if your smartphone is lost. 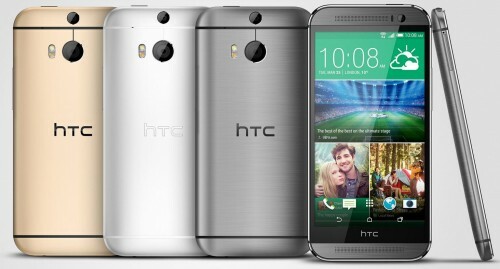 Your android phone will be automatically listed there. Hit on Ring button to ring your phone placed anywhere. Your android phone will ring irrespective of active sound profile (handset will ring at full volume even if it is in silent mode or vibrate mode). Erase device option may not be active. 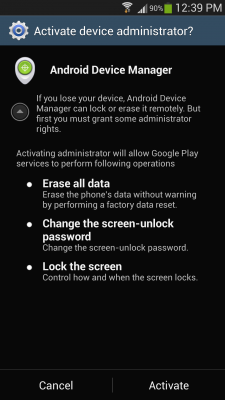 You need to allow android device manager to be your phone’s administrator. For this, click on Send a notification to your device link. You’ll receive a notification on your phone instantly. Pull down notification drawer and choose Activate option in the presented dialog. Done. 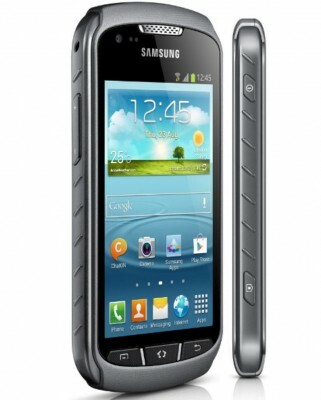 Refresh Android Device Manager webpage in your browser. Now you’ll be able to use Erase option. Use erase option to factory reset your device if you lost it to protect personal information and data. 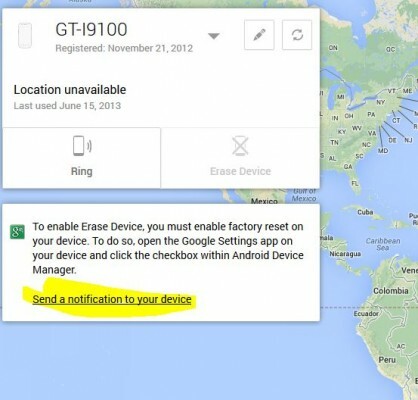 You can also locate your device on Google map for tracking whereabouts of your lost mobile phone. Internet service active on your phone (This is web based service hence it works only if you’ve data service enabled on your smartphone). This service is simple, efficient, to the point, hassle-free, setup-free. You just need to do the quick setup for ‘Erase Device’ option as mentioned above.